"Based on the popular Yu-Gi-Oh! 5D's animated TV series Includes the latest cards from the official Yu-Gi-Oh! 5D's Trading Card Game Complete against the most popular Yu-Gi-Oh! 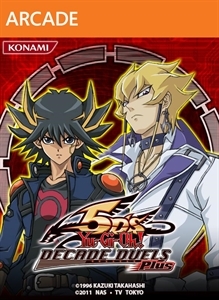 5D’s characters during the finals Battle through Single player or compete in 4 player tag duels with text and voice chat ability Includes 3 modes of play: Rank Match- Compete against Yu-Gi-Oh! fans of the same rank and ability Quick Match- Jump right into the action and compete against any Yu-Gi-Oh! fan." "Originally crowned as a top contender in the fighting game genre with the release of KOF 98, this full upgrade to the second entry in the KOF Ultimate Match series, KOF 2002 is widely considered to be the ultimate KOF. 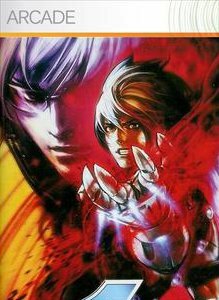 Based on the KOF NESTS compilation originally released only in Japan, the game offers the series' largest selection of characters as well as an all new soundtrack and enhanced graphics. The game balance has been carefully retuned for the addition of new moves and recovery moves, making KOF 2002UM a heated battle on your Xbox 360 that never stops!"